It looks like we are riding the crest of a new wave. 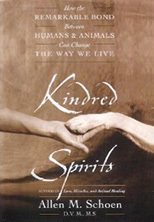 In my last book, “Kindred Spirits, How the Remarkable Bond Between Humans and Animals Can Change the Way We Live”, I shared my vision of the human animal bond over ten years ago. On this site, we share the 21st century perspective on where we are now and where we can go in creating a more compassionate society for all beings. It seems like our thoughts, attention and intention are indeed working. Just this week, Yes magazine came out with their new issue on how animals can save us. Simultaneously, the New York Times just came out with an entire section called “Animals, The Creature Connection”, requesting that people send in video’s of their connections with animals. The Huffington Post has had a section on Animals and animal video’s for a while now. 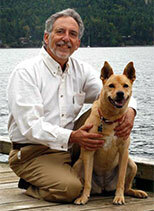 One article was just published on the benefit of animals for Diabetics. In addition, I was just interviewed for a radio show on the benefits of animals for cancer patients and was asked to be part of a new documentary on how animals can be of benefit for cancer patients. Even the Village Voice has a brief article on the tragedy in Japan and how it is effecting one kitten and then says…”make sure to hug your cat”. The picture breaks my heart and I feel such sadness for all the homeless animals that somehow are dealing with this tragedy as well. It seems like the hundredth monkey principle has happened. In the midst of all the environmental, economic and political shifts the world over , people are recognizing how critical our connection to animals and nature are in order to remain clam, healthy and happy in the midst of it all. As Japan’s environmental, humanitarian and nuclear crises continue to unfold, I pray that all my friends in the Japanese Animal Wellness Association and all Japanese be blessed with the calm minds that are needed during this time. May they all have an animal friend or someone to hold them, love them and support them through these crises. All these crises may be awakening calls for us to embrace more natural, self-sustainable technologies and lifestyles and a more compassionate society where the key question is what is best for all beings, rather than what is most profitable for the few. Acknowledging how animals can save us may be part of the awakening to a new vision of what can be best for all. 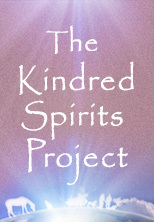 Let us all continue to keep in our hearts, thoughts, intentions and prayers, all our kindred spirits in Japan.